Keweenaw Land Association, Limited aims to provide opportunities to qualified contractors to deliver quality logging, trucking, and road building services to the Company throughout the year consistent with best management practices and sustainable forestry policies. Timber harvesting operations are concentrated principally in Gogebic, Ontonagon, Houghton, Iron, and Dickinson counties in the Upper Peninsula of Michigan in stands primarily composed of northern hardwoods of exceptional grain and quality. Keweenaw owns and operates a centralized log sorting and sales facility adjacent to its headquarters in Ironwood, Michigan. The majority of logging operations occur within a 50-mile radius of the Company’s sort yard in Ironwood. A forest road improvement program was initiated by Keweenaw in 1993. Constructing forest access roads a minimum of one year in advance of their use in harvest operations allows time for natural settling and compacting of the road surface. The majority of road construction is on gravel roads with “all weather” capability, thus extending timber harvest seasons. 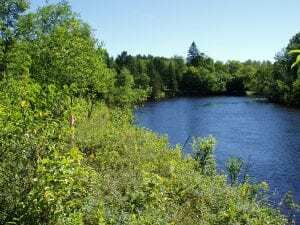 Contractors will comply with Keweenaw’s “Best Management Practices” (BMPs), which address logging and road construction procedures that minimize the impact to forest watersheds and wildlife habitats. 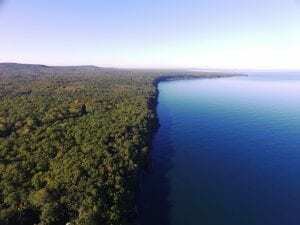 Keweenaw Land Association, Limited owns and manages over 401,841 acres of mineral rights within Alger, Baraga, Chippewa, Delta, Dickinson, Gogebic, Houghton, Iron, Keweenaw, Marquette, Menominee, Ontonagon, and Schoolcraft Counties in the Upper Peninsula of Michigan. In past years, Keweenaw’s mineral rights acreage has produced royalty income primarily from copper and silver and in prior years from iron ore. Lesser royalties have been received from removals of sand and gravel from pits located on Keweenaw properties. Precious metal exploration projects have also provided lease income to the Company.